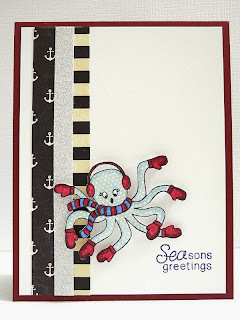 Newton's Nook Designs: It's a Jingle card by Jingle! Seriously! 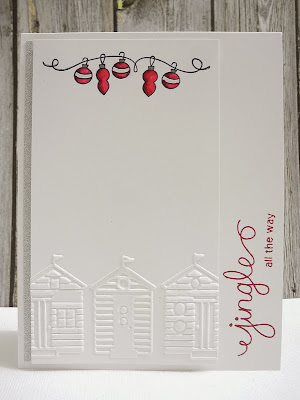 Design Team Member Jennifer Ingle uses "Jingle" as her nickname and her blog is called Just Jingle - so I think the Jingle stamp from the Holiday Wishes set must be one her favorite Newton's Nook Design stamp this Holiday! Isn't that funny? 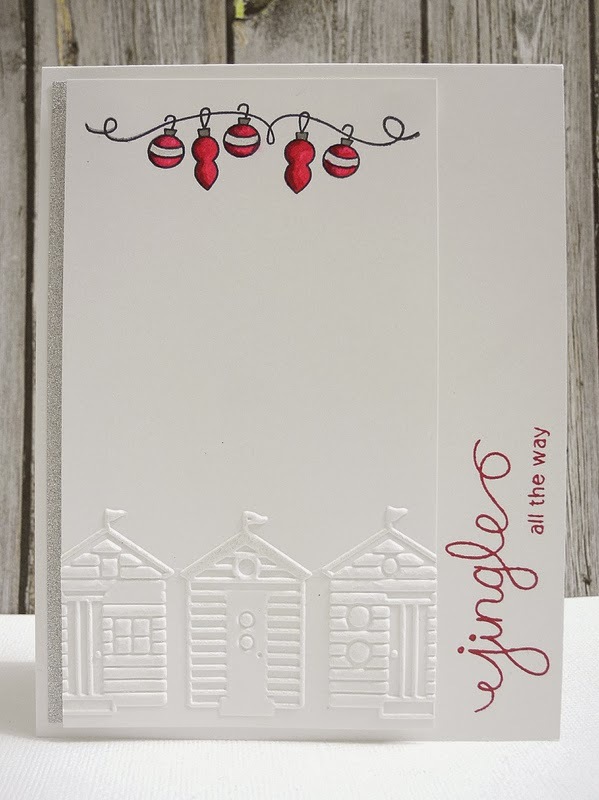 Jennifer paired the sentiments from the Holiday Wishes set with the cute little line of ornaments and then some fun embossed houses! I love how the red pops off and draws your eye around the card! Thanks so much Jennifer for inspiring us with your amazing clean and simple style over the last six months! 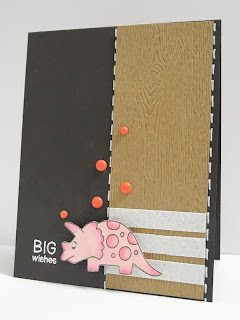 Please make sure you stop over at her blog Just Jingle today and help us thank her by leaving a nice comment! Two days left to enter our Inky Paws challenge! There's still time - the deadline to enter is Friday, December 13th, 2013 at Midnight CST! You can view full details and link up your card and enter the Inky Paws Challenge on this post. 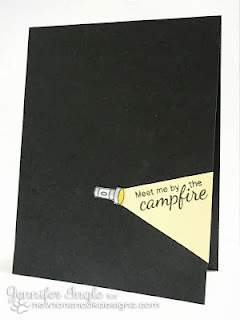 If you don't own a NND stamp set yet you can still use the digital freebies on our freebies page here. 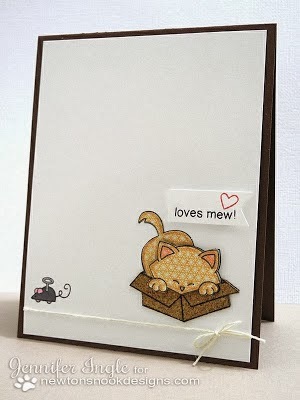 That IS a really cute card; and all the clean white space with the touch of color & textured images is so pretty! Jennifer, I LOOOOVE your work, and I'll keep looking forward to your work everywhere else! Love this card, super CAS! This card is so elegant. I love the ornaments and the beautiful embossing. 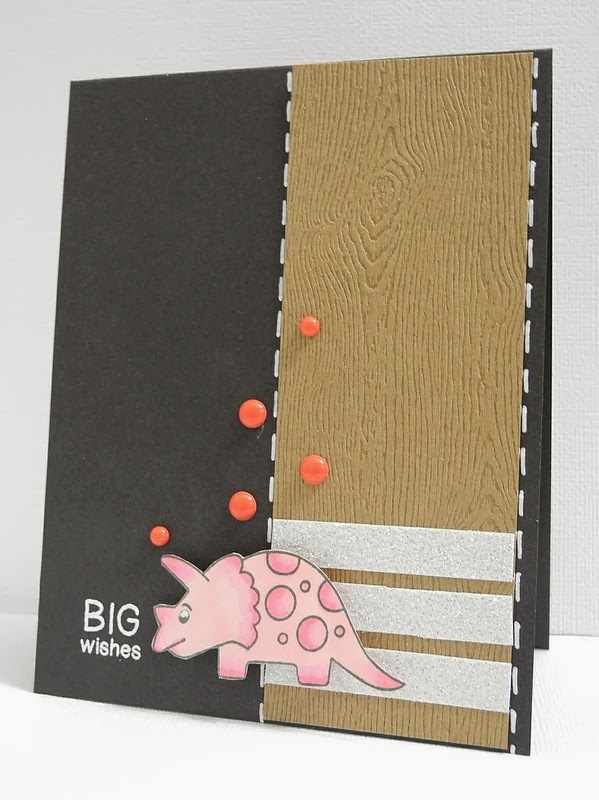 Jennifer, I'm going to miss your NND cards! You've been amazing! Your card is fabulous Jingle; so pretty, festive and eye-catching! I'll miss your NN cards here; your inspiration is amazing and appreciated! On the plus side, we do know where to find you!